I’ll be honest, this one doesn’t come from me. However, it has lived in my head for so long that I’m not sure where it comes from, though more than likely it comes from Fannie Farmer. You probably make something very similar, and if you don’t, your mom or grandmother probably did. Because it’s delicious, I think it bears repeating. I made Alana’s ricotta again today – I’ve been making it a lot, and have found multiple uses for both the curds and the whey. I’ve been making it with those two-litre containers of homogenized milk, which has meant I’ve had at least a pound of ricotta and quite a lot of whey leftover for somewhere around $2.38, which is easily more than a pound of ricotta costs. And you know, the thing about whey? It subs in very nicely for buttermilk. 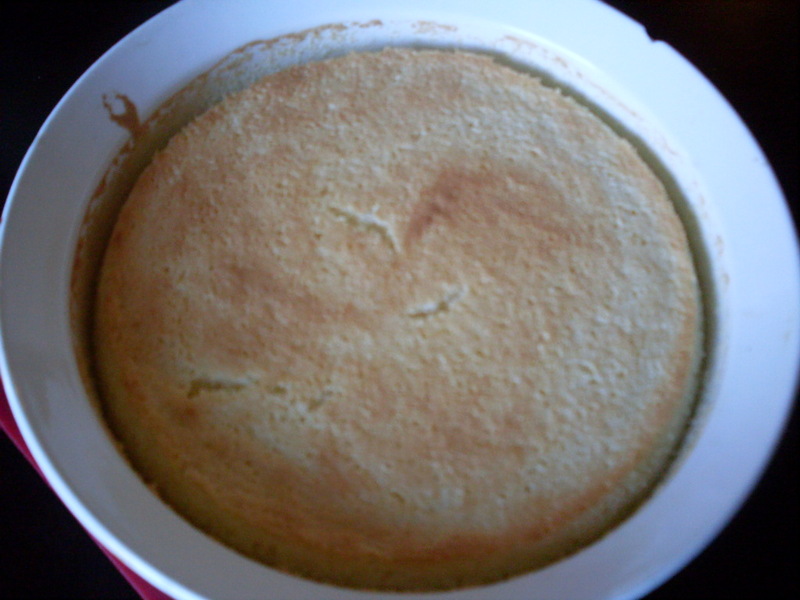 I’ve used it today, in my lemon buttermilk pudding cake, and it’s very nice. If you don’t have whey or buttermilk, you can use regular milk, and it will just be lemon pudding cake, which is plenty delicious and probably where the whole thing started. This pudding cake is part of a long family tradition of pudding cakes, which includes stewed fruit and dumplings and my grandpa’s Radio Pudding. It’s magic, because it starts off as a very runny batter, which transforms into a pudding with a delicate sponge cake top once baked. Sound familiar? It’s the perfect dessert for company on a weeknight, its purpose this evening, because it’s easy, and uses just a handful of ingredients that you probably already have in your pantry and fridge. You can substitute limes, or oranges, if that’s what you have, and it will be different but also lovely. I bet it would look very pretty if you made it with blood oranges. 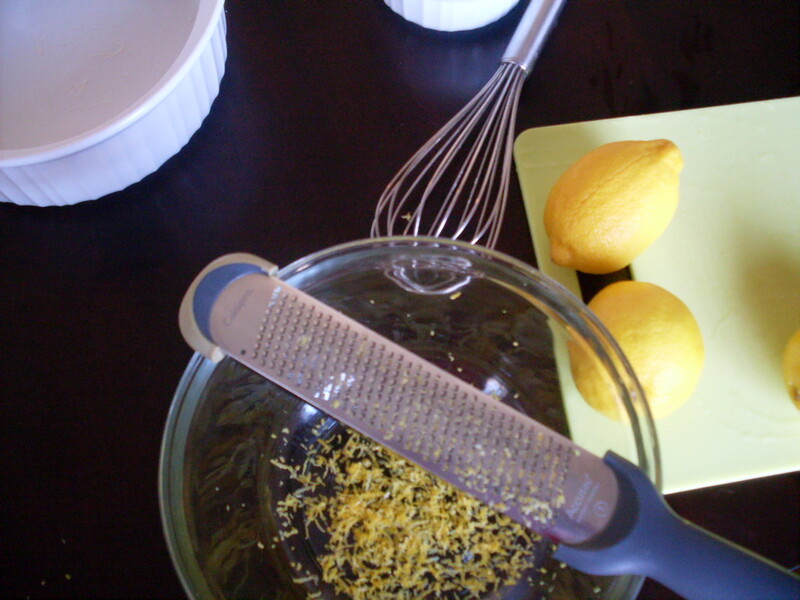 Combine three-quarters of the sugar, flour, and lemon zest in a mixing bowl, and whisk well. 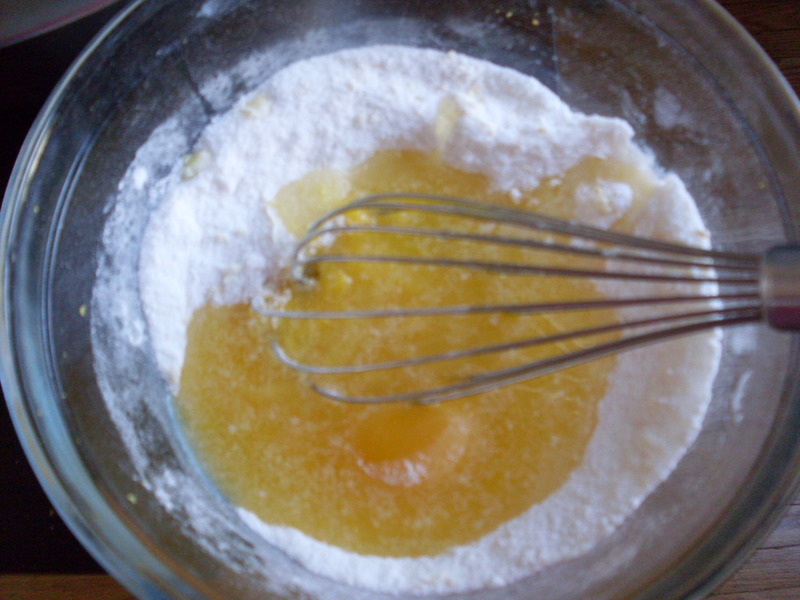 Add the melted butter, lemon juice, and egg yolks, and whisk to form a batter. Slowly add in buttermilk (or whatehaveyou), whisking as you go. In a separate bowl, whisk remaining sugar with the egg whites until the egg whites form soft peaks. You want them to be sturdy but malleable – if you overdo it, they get to a point where you can almost “chunk” pieces off. It won’t be the end of the world if that happens, but try not to get to there. Fold egg whites into sugar-flour-buttermilk mixture. Pour into your prepared dish. Place the dish into a larger baking pan, and fill the outside pan with water until the water comes to halfway up the side of the dish. Place carefully into the oven, and bake for 40 to 45 minutes, until the top is cake-like and lightly browned. Cool for at least 30 minutes before diving in. Serve warm, with whipped cream. Possibly be transported back to your grandmother’s messy kitchen table, as many years ago as that was. 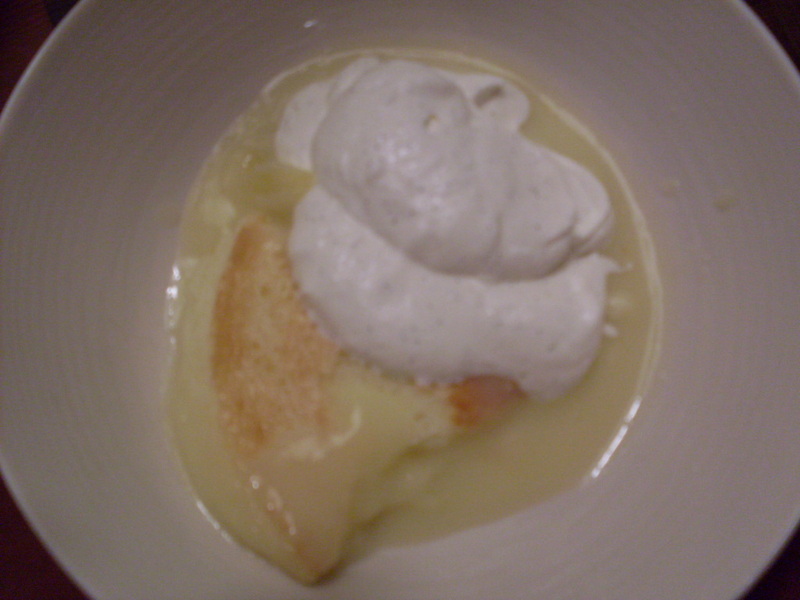 This tastes like lemon slice, lemon meringue pie (sans meringue), and all those treats most of us rarely make anymore. Next > Here’s that meatball recipe. This was Riley’s favourite dessert and Mum would make it for her birthday with Toad in the Hole. I made this last night to take to our weekly dinner with our friends 45 minutes away, thinking that it would be a perfect amount of cooling time. We all agree that this recipe is a dream — the distinctness of the cake and sauce from one another is impressive and the lightness of the whole was soooo delectable after a rich dinner. Now I want to try it with other citrus. Wonder if grapefruit would work?